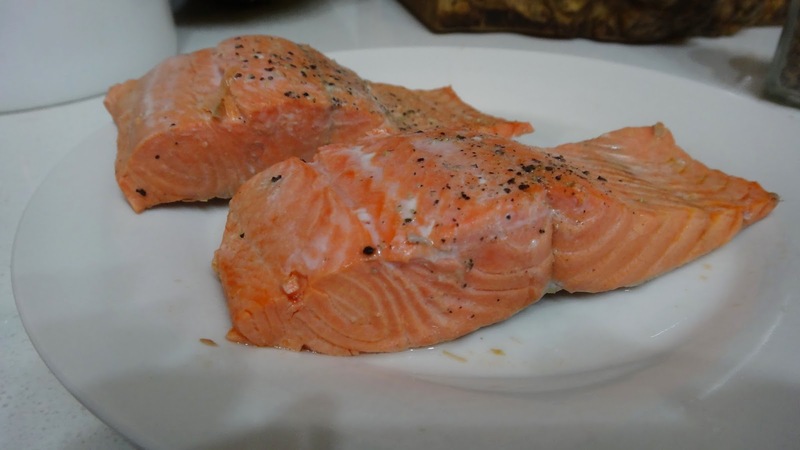 Poached salmon is easy to make and can be served warm or room temperature. You can top with your favorite sauce or enjoy it just as it is. 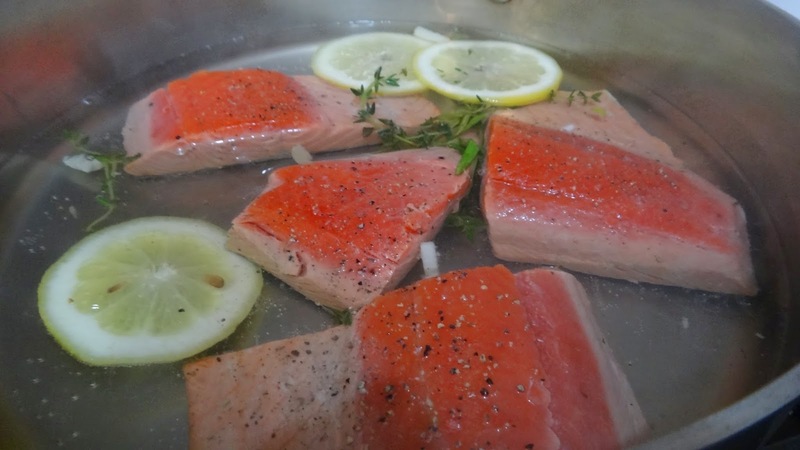 I like to sear some fresh herbs in some great Extra Virgin Olive Oil and sear the top for just 1 minute to create a lovely lunch or dinner entree. I have use a lovely California oil from Temecula Olive Oil – Olive View Estate. 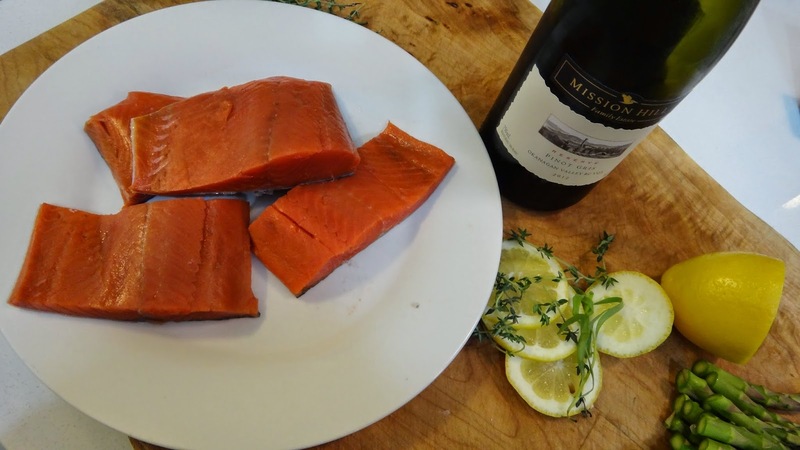 Step 1: start with some fresh excellent quality wild salmon. Cut into a few portions and add salt and pepper. 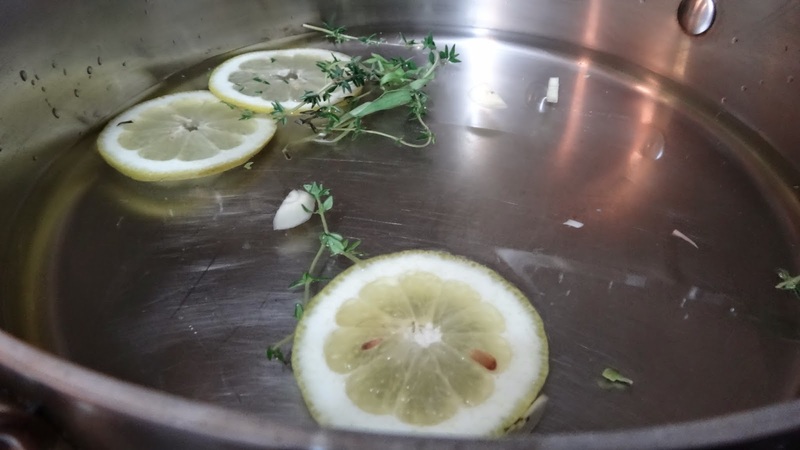 Step 2: in a deep saute pan add some white wine, water, lemon slices, a few sprigs of fresh thyme and tarragon. Step 4: remove fish from liquid and gently remove the skin and layer of dark flesh directly under skin. 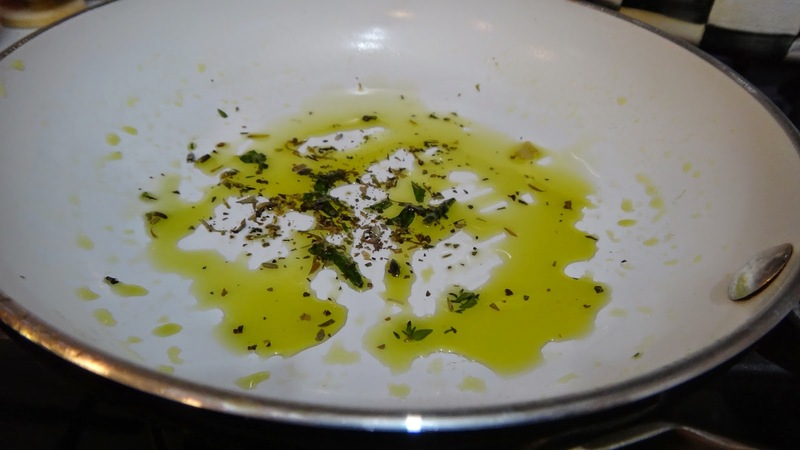 Step 5: in a small pan add some great Extra Virgin Olive Oil. Once heated add some fresh chopped tarragon and thyme. As soon as they hit the hot oil add the fish with the top side directly on the oil. Cook 30 seconds and remove. 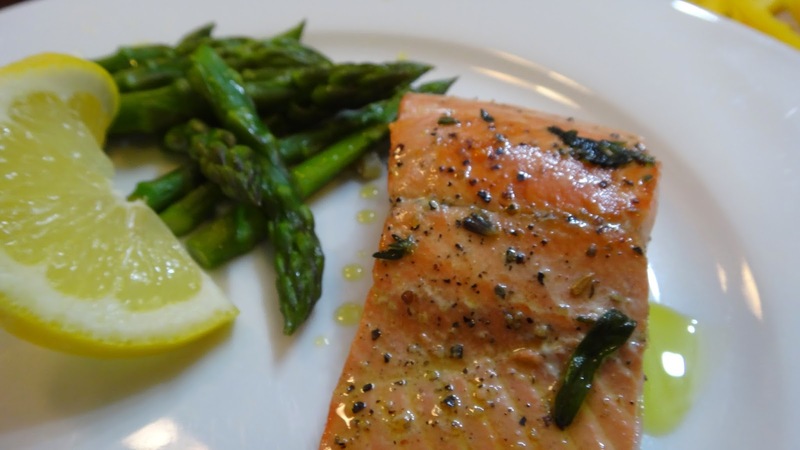 Serve with some fresh steamed asparagus, a squeeze of lemon and another drizzle of oil. 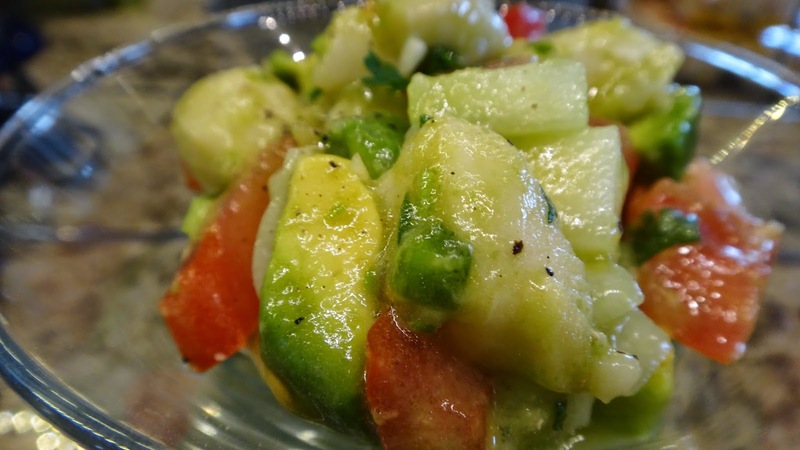 This is a perfect appetizer for a hot summer evening. Serve it with rice crackers or tortilla chips. 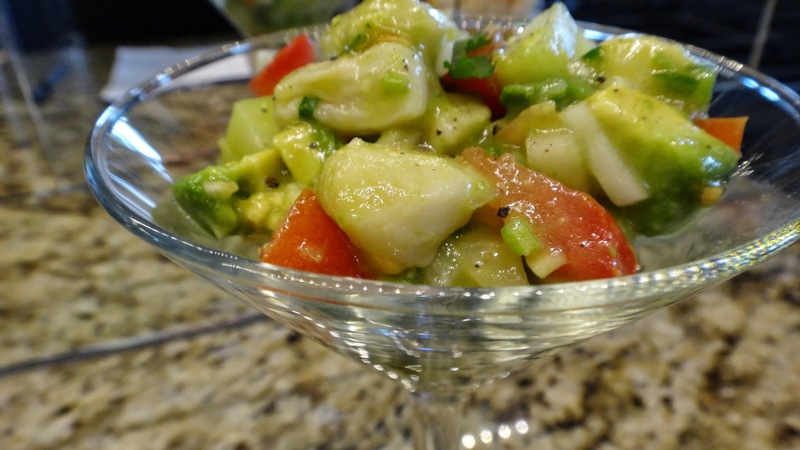 The fresh tastes of a salsa and the fresh halibut served like a poke or ceviche. Fresh and delicious they will devour this one! 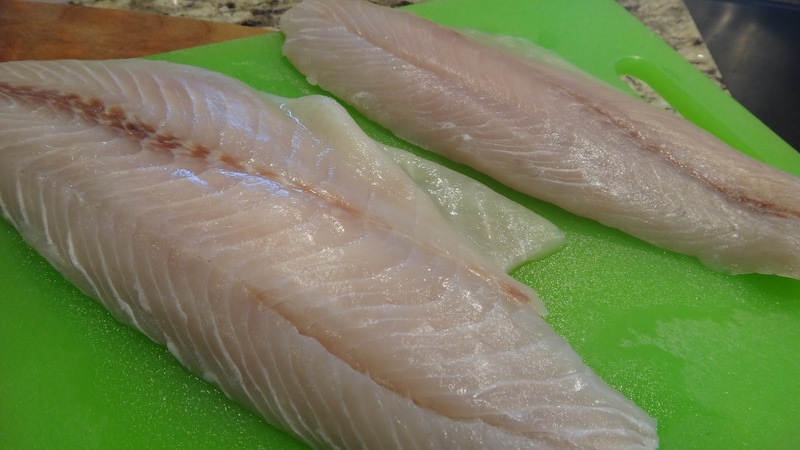 Step 1: chop halibut and place on paper towel to absorb any additional water while chopping all other ingredients. Step 2: chop all other ingredients. Step 3: place fish in a small dish. Zest 1//2 lime and juice entire lime over fish. Drizzle 2 tbsp olive oil and mix. Cover and let stand in fridge for 1 hour to almost cook tender fish in the acid. 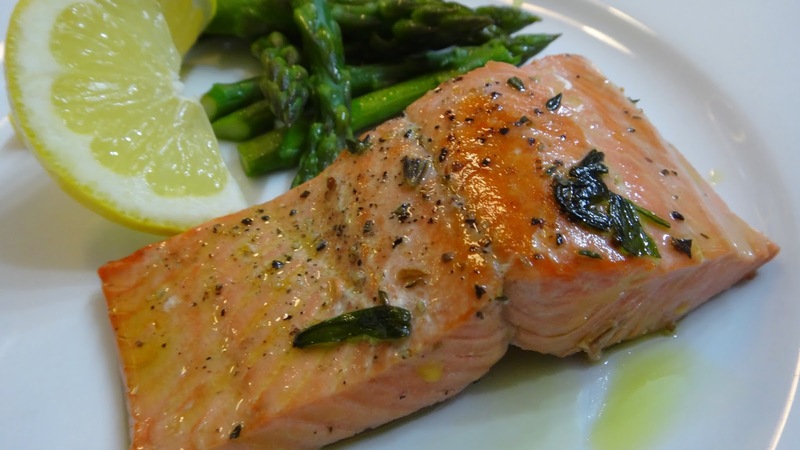 You can also add some salt here if you want a firmer fish. Step 4: mix all ingredients together, add extra olive oil and salt and pepper. Adjust as necessary. Serve with chips/crackers and a tequila cocktail. 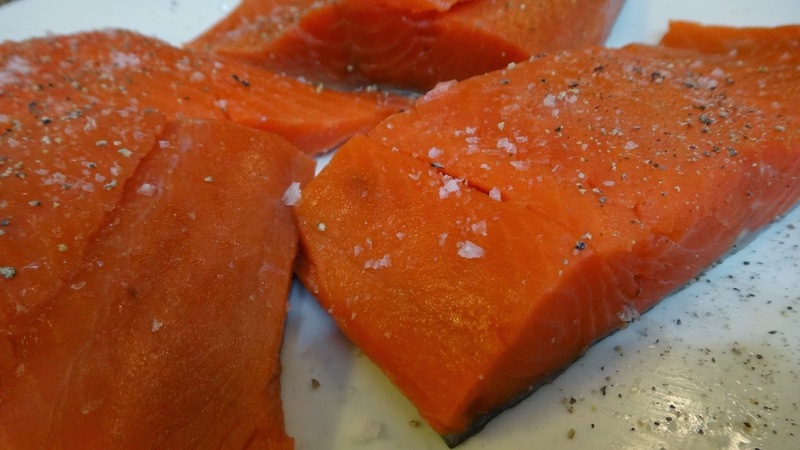 It is very easy to take pieces of salmon and process them with some aromatics and quickly grill them for a delicious meat substitute. I have added some Asian flavour to these and topped them off with a crunchy coleslaw. Step 2: prepare all your flavourings. Grate or puree onion and garlic. Add to a large bowl. Chop herbs and add wasabi powder, sesame oil, black sesame seeds, lemongrass and a sprinkle of salt and pepper. Step 3: add chopped salmon and mix well. Form patties and place in freezer while you prepare the coleslaw and heat the grill. Brush with olive oil and grill on medium heat for a few minutes on each side. They cook quickly. Top with coleslaw and some baby cucumber slices and serve. I have also fried a sweet potato in some olive oil. A few minutes on the grill, slice and drizzle over sauce. Easy. Perfect for a summer evening. Step 1: prepare sauce/topping. In a small bowl or measuring cup add soy sauce, rice vinegar, sugar, fresh finely chopped chili (or 1/8 tsp chili flakes) chopped spring onions, crushed garlic, chopped ginger, sesame oil, olive oil. Step 2: if you can get fresh or sushi grade tuna great however, I had good frozen and it worked fine. Step 3: heat up grill. Sprinkle salt and pepper over tuna and spoon a bit of topping over the fish. Do not touch the raw fish with the spoon to keep the topping clean. Just because you are eating alone doesn’t mean you shouldn’t eat well! This was my perfect lunch for one today. You can easily double the recipe for two. Step 1: wash and break your broccoflower to bite sized pieces. Steam for 5 minutes. I like it to still have a bit of crunch. Step 2: clean a nice piece of fish and chop into chunks. 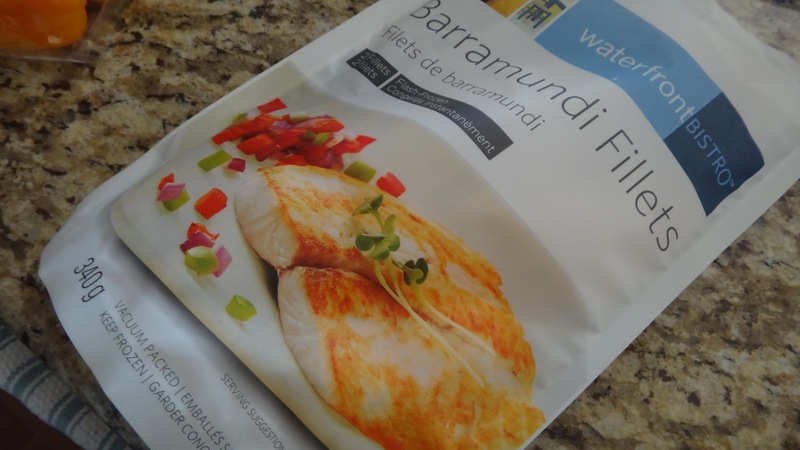 I have used halibut. Step 3: chop parsley and basil and spring onions. Step 4: zest lemon over fish and add some wild fennel pollen if you can get it or crushed fennel seeds if you cannot. The fennel pollen has a beautiful floral and liquorice scent and flavour. 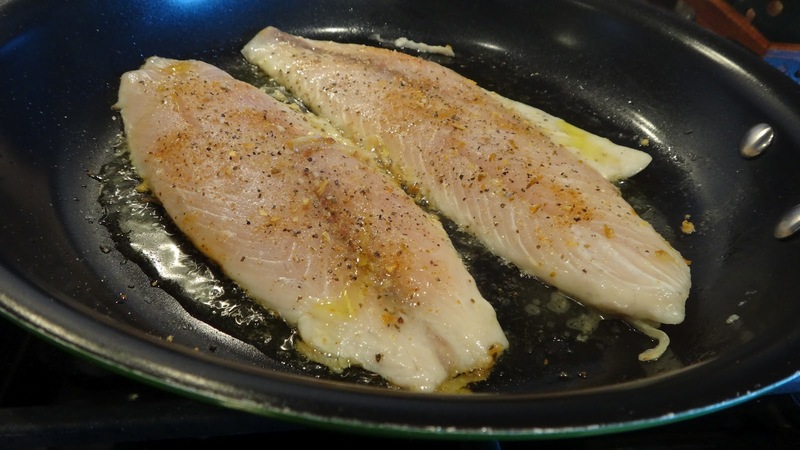 I also add my beautiful olive oil to marinate the fish delicately while the pan heats up. Step 5: add the fish and spring onions to a medium hot pan and cook a few minutes on each side. Add salt and pepper and a good squeeze of lemon juice. Serve with the steamed broccoflower, another squeeze of lemon juice and a final drizzle of good olive oil. Sprinkle parsley and basil and add salt and pepper if it needs a bit more. This is a wonderful hearty salad. 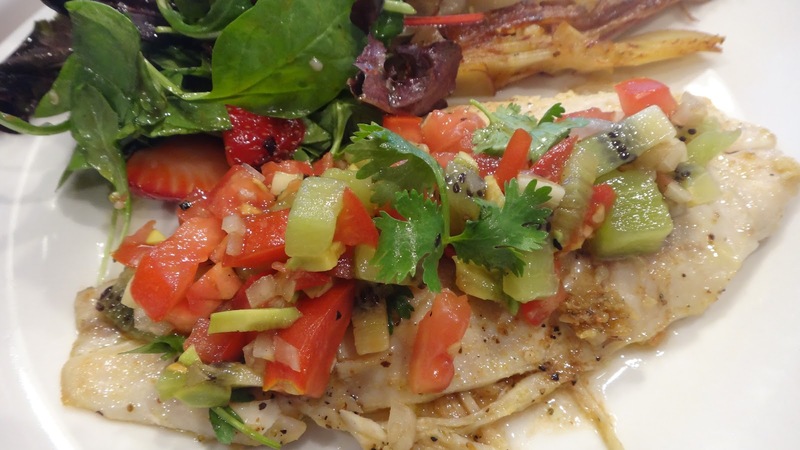 It is a perfect lunch that will keep you satisfied for the whole afternoon. It has tuna and beans and lots of fresh crunchy vegetables. The dressing is fresh orange juice, apple cider vinegar and lots of fantastic olive oil to balance the citrus. You can easily replace the orange for lemon and use the quantities as a guide. 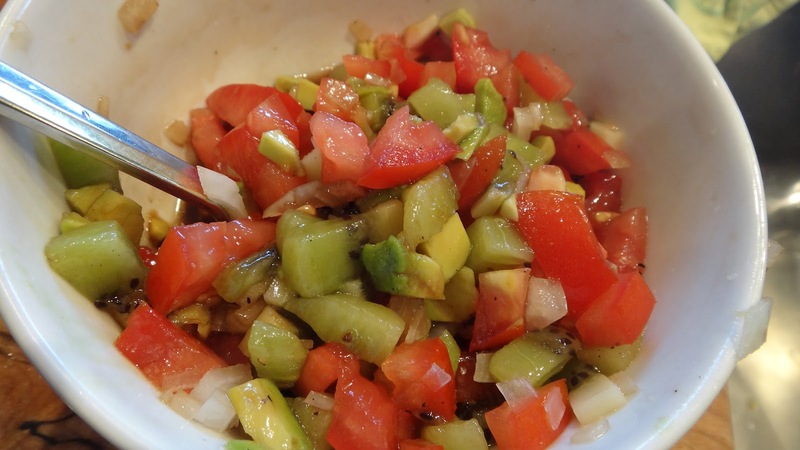 If you prefer more tomatoes add them, if you want to add some avocado feel free. This is perfect for two people but you can easily double for a larger group. 1 14 oz. can of cannellini beans – strained and rinsed with cold water. 2 cups of soft buttery lettuces – to serve as a base for the salad to go on top. squeeze of lemon on top to serve. 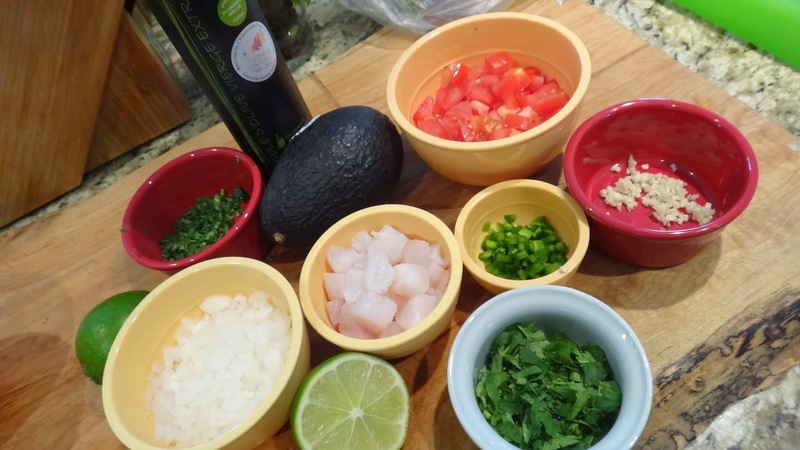 Step 1: gather all your ingredients.Use quality ingredients find what is fresh. Invest in good oils and vinegars they will last and they make a big difference! In a large bowl add your drained tuna and your rinsed beans. 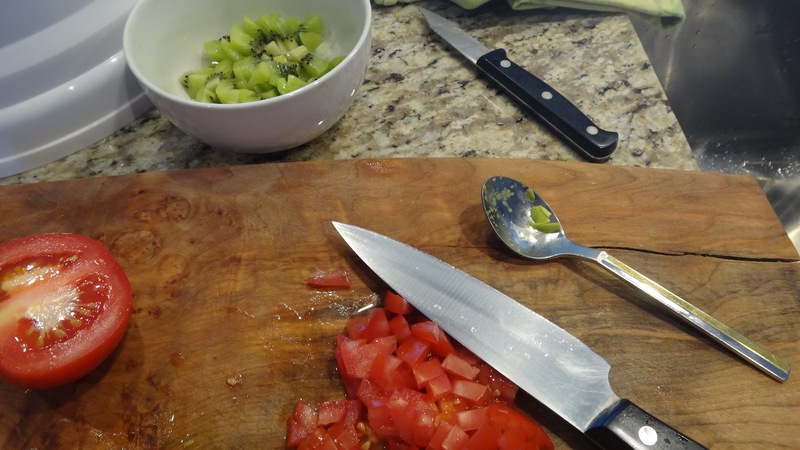 Step 2: Chop the red onion, the sweet peppers, Italian parsley, celery and celery leaves, apple, English cucumber and spring onions. Add each item to the bowl with beans and tuna. Step 3: add orange juice, apple cider vinegar, olive oil, salt and pepper. Mix and taste it and if it needs more salt and pepper or oil add it. Serve on top of the buttery salad leaves with a squeeze of fresh lemon and another drizzle of olive oil. 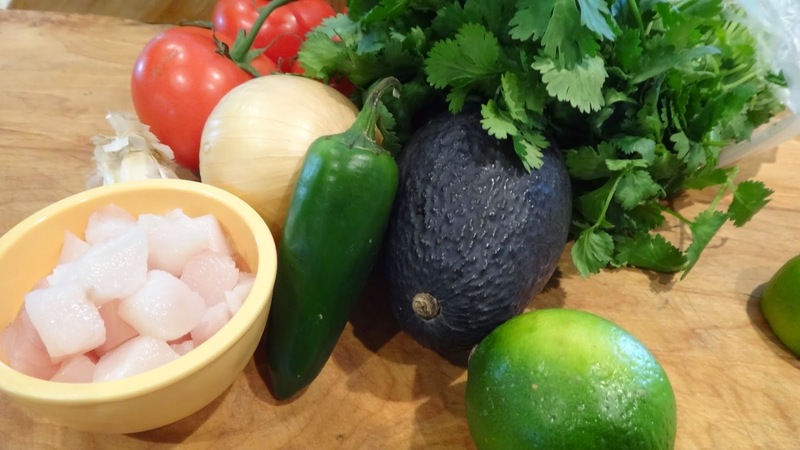 This is a nice white fish fillet that cooks quickly and is topped with a fresh salsa made with kiwi. 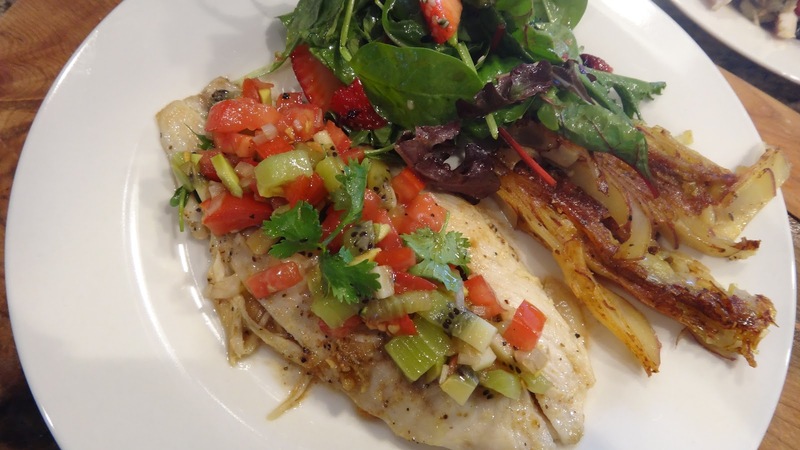 Add a fresh salad and some layered potatoes for a great weeknight dinner. 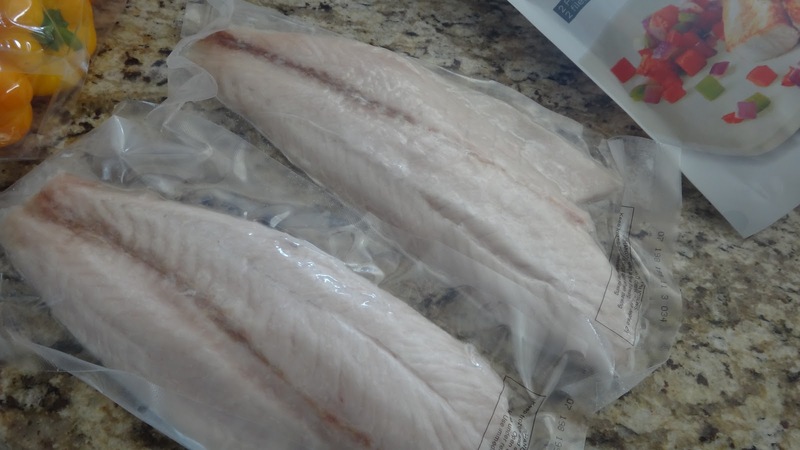 Step 1: Thaw the frozen fillets in fridge. 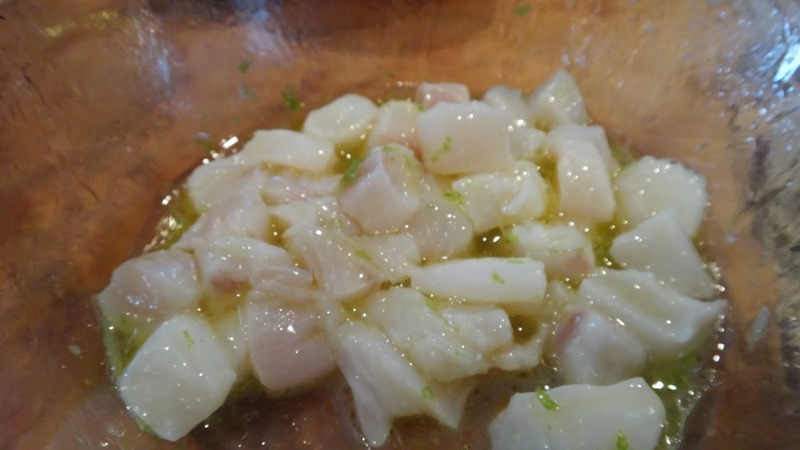 Step 2: chop all ingredients and blend with lime juice, olive oil, salt and pepper to taste. Step 2: Fry fish in a bit of butter/oil. Sprinkle tops with lemon pepper and salt. Cook 2-3 minutes on each side. I have served mine with the salsa on top and a spinach salad on the side along with some scalloped potatoes that I have sliced and baked until crispy.